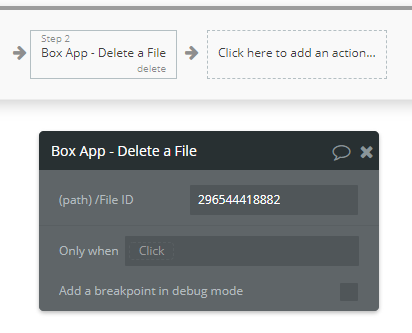 How to use the Box.com Service plugin? It’s asking for a file ID. I only have the URL. I’m generally not sure how to use this plugin, there is 0 documentation outside of setting it up. It should give you the idea of it works and how we use it. Yes I checked it out but I don’t understand. I have the file saved as a URL in a field in Bubble’s database. Via Bubble’s box plugin. But that does not have a delete action. I just want to use Box storage instead of Bubble since Bubble is expensive. it’s not exactly true that the plugin doesn’t have any documentation - did you check this link?